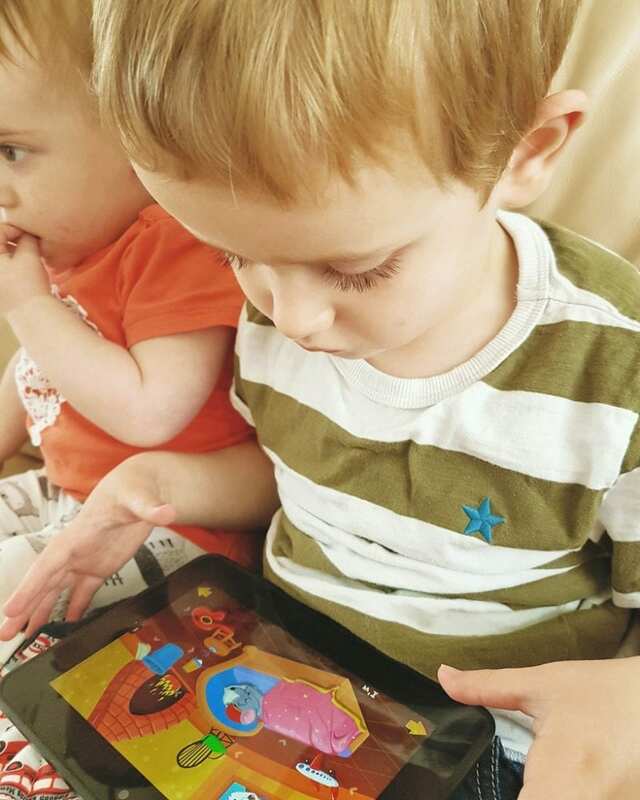 I was recently invited by Kidloland to try their nursery rhyme app, aimed at the under-fives. Since both my children fit into that age bracket and they both love nursery rhyme videos, I jumped at the chance. Kidloland have also kindly given me some three-month subscriptions to the app to give away to five lucky readers. 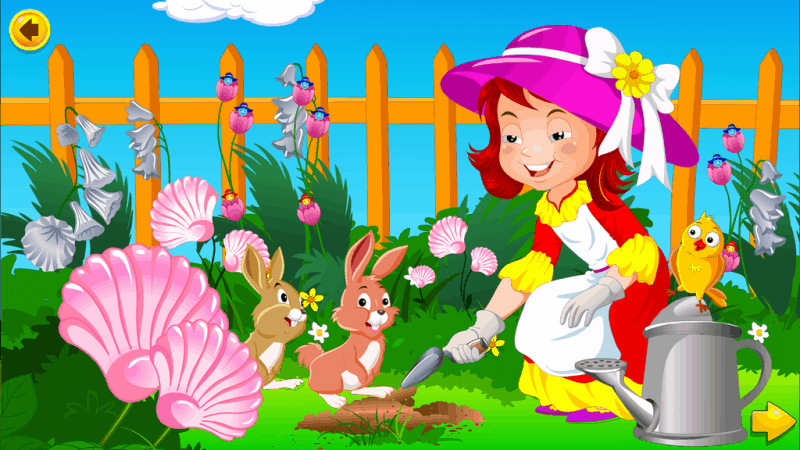 Kidloland is a free nursery rhyme app that is available to download on Android and iOS. 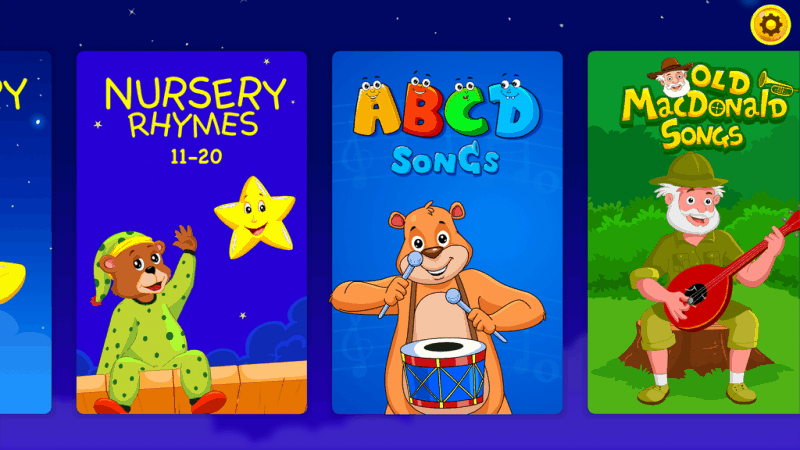 Although the app comes with several free songs, the subscription gives you unlimited access to download many more educational nursery rhymes and songs – and there are hundreds and hundreds to choose from; from ABCs to fruits, shapes and animals – there’s certainly plenty to keep your little ones occupied. I was pretty pleased with this app. When they heard the first few notes of the first rhyme come spilling out of the Kindle, both Biggest and Littlest reacted immediately. They both came straight over and sat down to watch. The visuals on all the songs are of a high standard. 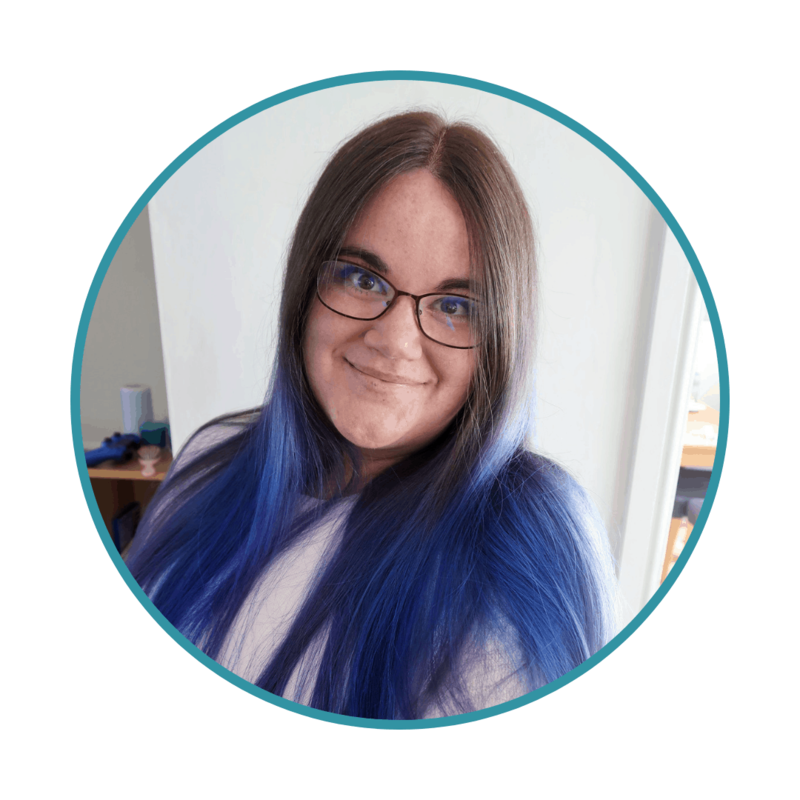 One of the things I liked the most about this app is that it is interactive – instead of just watching the songs passively, children can click on things and move between screens in order to make certain things happen. 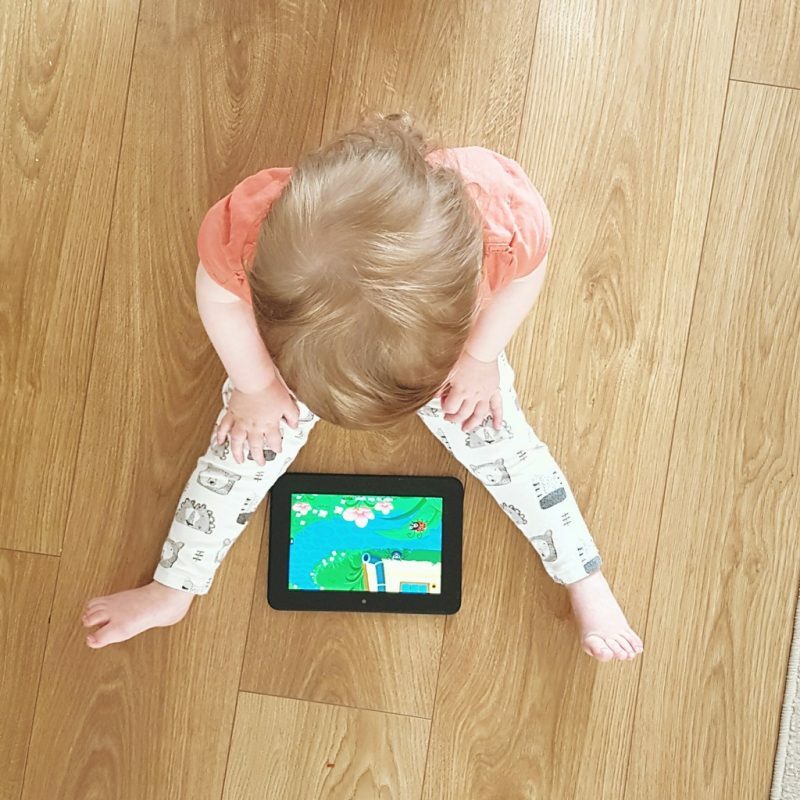 I think this gives the app an added appeal to the children and makes it more educational – even my one year-old was working out cause and effect and could see how to make the cow moo and the stack of plates wobble if she pressed them. The interactive element certainly meant that the nursery rhymes kept the attention of both the children for longer. While, of course, we are all concerned about screen time, especially for small children, as a working mother, having ten minutes to be able to get some laundry on or mark a few papers is absolutely invaluable to me. At first I thought the app was going to be more popular with Littlest. She was certainly most keen to get using it at first and Biggest was only slightly interested. However, the educational value of the app won-through in the end, as he returned to it and spent a good deal more time exploring on his own. Littlest is just a bit too small to work out how to do everything yet and so she really wanted me to watch and play with her. Overall, I would say this app is one of the better ones I have seen. The illustrations are high quality and interesting. The songs are well done – though some of the rhyming of the non-traditional songs is a little strained. It might be the English teacher in me noticing that though – the children certainly didn’t seem to mind! It is well worth a look. If you would like to enter the competition to win three months FREE SUBSCRIPTION to the Kidloland app, please enter the Rafflecopter below. Disclaimer: Kidloland kindly gifted me the subscription to their app in order for me to review it. However, all my opinions are genuine and my own. My 3 year old loves singing and nursery rhymes. 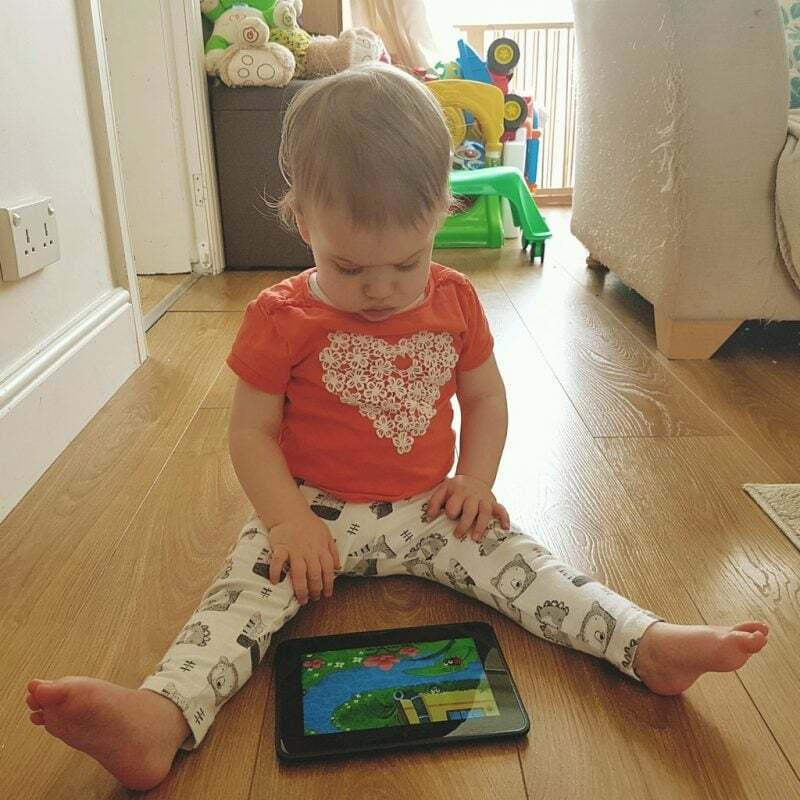 She also loves using the i-pad, her favourite apps are CBeebies, Giggle Gang and Baby Chords. 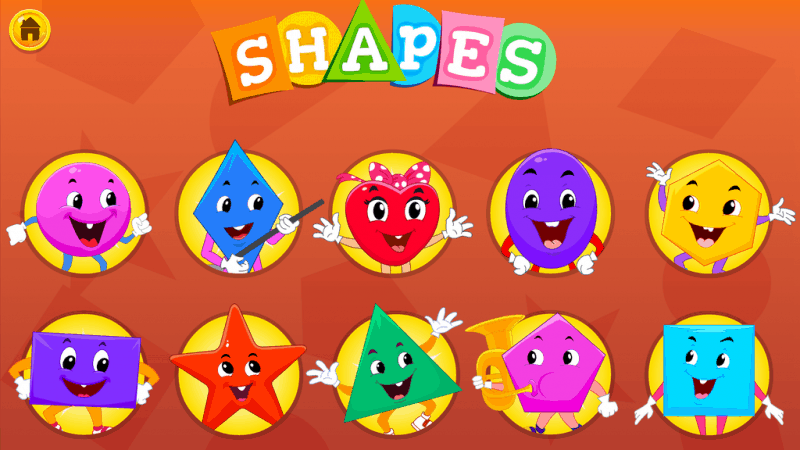 I always love a great educational app! Thanks! This sounds like a really good app – like you said anything that can give you ten minutes is great, especially when it’s educational too! We love finding nursery rhymes on youtube so this would be amazing!! My son loves the Cbeebies app and my daughter really enjoys animal puzzle/colours… I think it helps that after its completed they get balloons on screen that can then be popped. I haven’t used these kinds of apps before. Nope, never used these kinds of apps before. We are quite new to apps and looking for some good ones…. 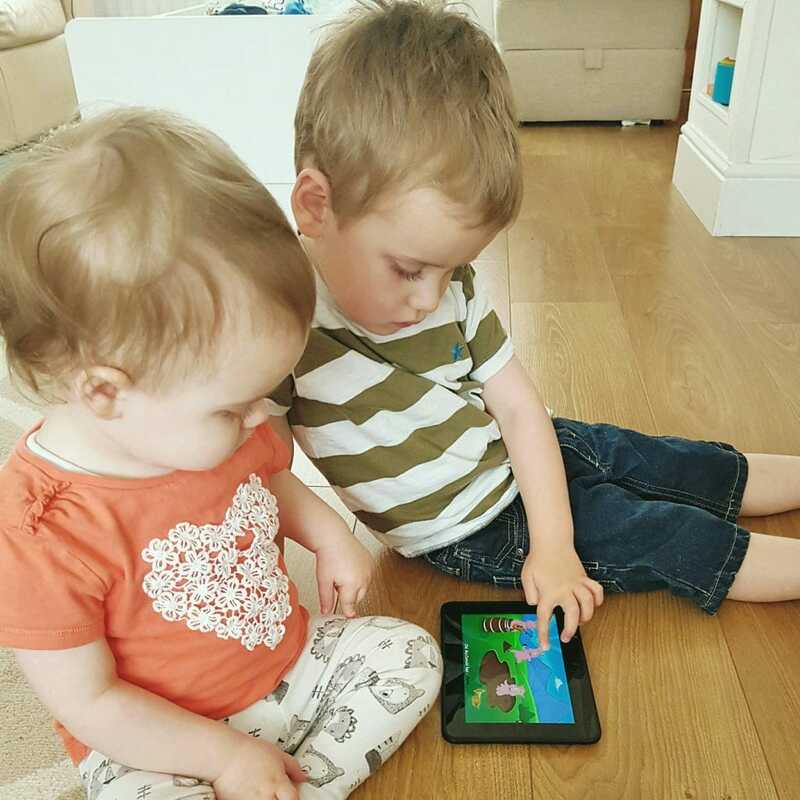 At the moment we mainly use YouTube for nursery rhymes and also use the cbeebies and Fisher price apps. We watch nursery rhyme on Youtube, on many different channels, we don’t have favourite one. My son loves watching Kinder egg videos on Youtube. 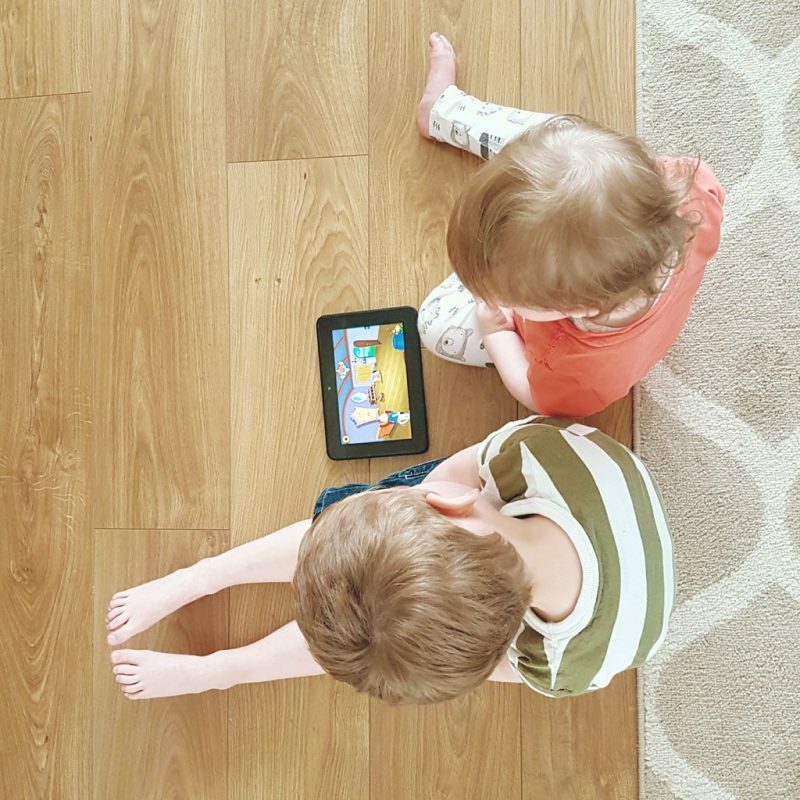 Youtube recently launched launched app for children known as Youtube Kids, it is a great app for kids aging 2-5. I highly recommend it to everyone.